Click on the ‘Arrow’ for more information about each of our services. Our opening hours are 7.45 am to 6.15 pm, Monday to Friday throughout the year closing only on all Bank Holiday days. We like to keep our fee structure as simple as possible with a daily rate of £52.50, which is reduced to £49.75 per day for children that are full time. Wrap around EY sessions work out at £ 21.75 per day. We offer a half-day session at £32 and a discounted rate for siblings to £49.75 per day. For extra hours or settling in sessions we charge £6.50-£7.50 per hour, depending on the hours chosen and lunch for children attending over this period is an additional £2.50. We review our fees annually in September, and do not make any interim adjustments. Equally WE DO NOT charge parents for Bank Holidays. Before school Club: 7.45 to 9am – Studio based for both WB Infants and WB Juniors. After School Club: 3.30 to 5.30pm – WB Infants. 3.15 to 6.30 pm – WB Juniors. We offer flexible sessions throughout the evening – decide what you want and we will sort it. 3.15 to 6.30 pm – Abbey Road and St. Edmund Campion who attend our Studio. Holiday Club – 8.30 to 5.30pm – standard hours with wrap around care available. Breakfast Club – from £ 5.75 depending on schools attending. After School – from £ 10.25 depending on schools and session length requirements. 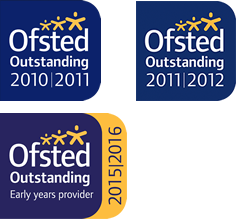 All other schools: After School – from £12.75 depending on schools and session length requirements. Full Day – £35.00 Please bring a lunch box each day. WATCH OUT for special holiday offers! Hourly rates available, along with wrap around care for all full day, or part day, sessions.